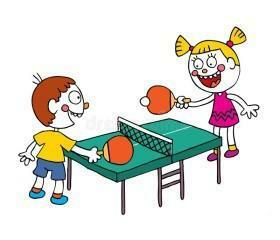 Table tennis club is run by Mrs Ingram and Mr Pullen and takes place on Wednesday nights after school. Mrs Ingram reports that the group are all trying hard and are demonstrating impeccable behaviour. Mr Pullen is sharing his ping pong skills with the group and they are learning from him quickly. Mr P was once a table tennis champion in his youth! Mrs Ingram is looking forward to taking the children to the MYG tournament that takes place later in the school year. Decisions, decisions….who will she choose?